We are delighted to confirm that we have just invested in the company and have opened a new office in Manchester City Centre in the outstanding office building 3 Piccadilly Place. In the last twelve months we have facilitated in excess of £20M of new business loans predominantly into the N Ireland economy. This has given us great encouragement as we continue to speak to investors and lenders who continue to show terrific confidence in our company as a route to market for their funds. The focus now in our business is to continue to help N Irish SME’s with their funding requirements, grow our business in Republic of Ireland and now with our strategic position in Manchester, are well placed to grow the platform in mainland UK. With over twenty different lenders now committed to the Clearpath Finance Lending Platform, we are now firmly the number 1 Alternative Lending platform in N Ireland and have strong ambitions to continue on with this success right across the markets we are operating in. The business environment is currently extremely challenging, the liquidity crisis in full swing and with the many unkowns surrounding how Brexit is going to unravel, confidence is quite low. However in our own business our tails are up and we are now extremely well capitalized. 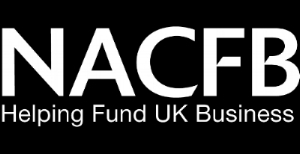 So if you or your clients have a funding requirement we would be delighted to speak with you. One of our straplines at Clearpath Finance is NO SLOW NO’s – as we fully appreciate how important it is to secure a funding package for you’re business as quickly as possible. So far so good, and we are looking forward to the weeks and months ahead. We hope to hear from you soon.